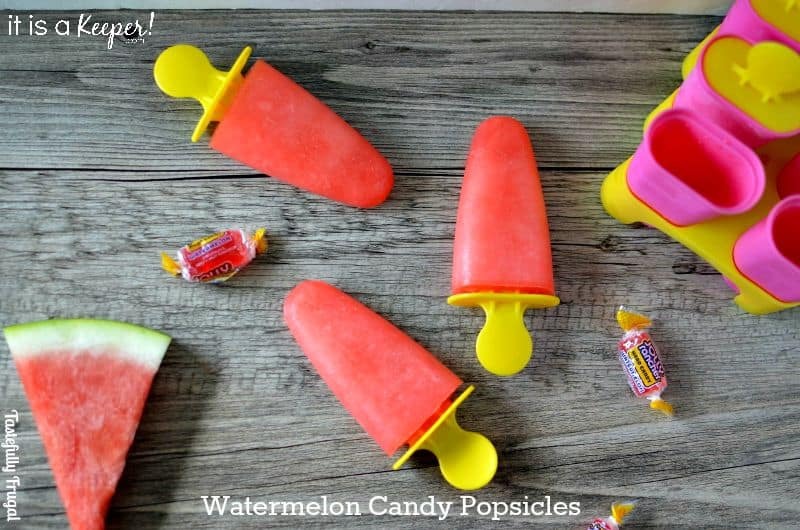 Enjoy the sweetness of Watermelon Candy in a frozen form. Did you have a favorite candy growing up? I didn’t like a lot of candy when I was younger; I preferred real fruit. But there was one candy that I loved…Jolly Ranchers! I loved the fruity flavors and how long those flavors lasted. One day a few months back when I was making slushes for a family dinner and used Watermelon Kool-Aid immediately it brought back memories of my favorite candy. Since our slushes are gone in about 2.5 seconds I wanted to make something with that flavor that lasted longer. 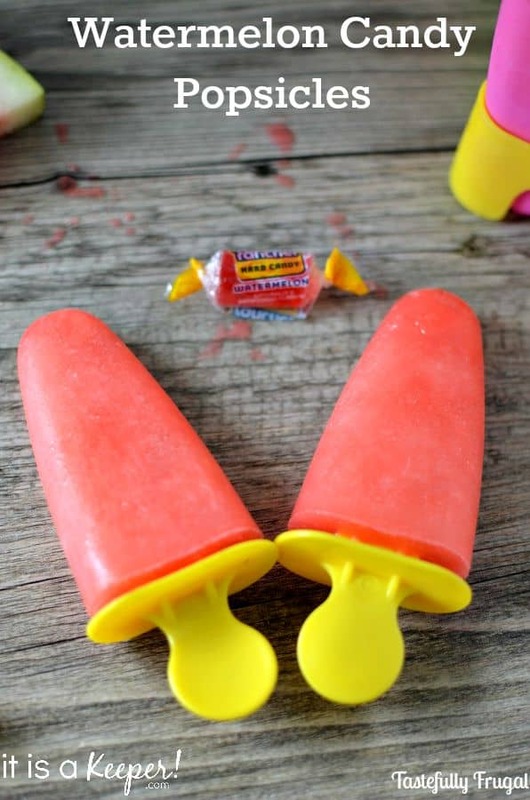 And what’s better to cool off an a hot day than a cool popsicle?! I’m over at It Is A Keeper sharing the super easy recipe.